Summer is an amazing time to take some trips. Whether near or far, it’s the perfect opportunity to drive up to a lake, explore some hiking trails, hang out at the beach, and more. The only thing that can be a bit of a travel setback is deciding what to do with your pet when you’re on vacation. At Royal Pets Market and Resort, we believe your travel plans shouldn’t have to be cancelled on account of your pet. Check out our list of ways to make traveling with your pets a breeze this summer! Exploring a park or driving to the water for the day? If you have a cat or other smaller animal, they will be fine to stay home. Dogs, however, might require more attention, particularly if you’ll be gone longer than you would on a normal work day. One option for what to do with your dog is to bring them with you. Check the area you’re heading to, and see if it’s dog-friendly. Many hiking trails are fine with dogs accompanying their owners, as long as pet owners are responsible for their dog. If your dog has higher anxiety or struggles to be around other people or pets, you might want to take them to a public space for a smaller amount of time first. If now’s not the best time to take your dog on a trip with you, and you’re going to be gone for a longer day, ask a friend or neighbor to check in on your dog. Don’t forget to buy them a coffee or something for their trouble! Long weekend trips serve as a perfect getaway. If you’ll be away for a night or two, a cat or other small animal should be fine with enough food, water, and anything else they might need to be successful. If you’re going to be gone for a night and you own a dog, they will need to be cared for. As previously mentioned, you can always check with a friend or neighbor to stop by, though it should be much more frequently than if you were simply gone for a day. Taking them with is also an option, but you’ll need to ensure your accommodations allow for dogs. Some hotels are fine with dogs staying with their owners, but it is important to check before deciding to bring your dog with you. Another great option is boarding your pet—read on to find out more! Any pet at this point will need care and attention, not only daily, but multiple times a day. It can sometimes be hard to find someone to care for your pet for this amount of time, because that’s a fairly huge responsibility you’d be asking someone to take on. Save yourself the worry, the struggle, and the hassle of finding what to do with your pet: book with Royal Pets Market and Resort today! Room rates start at just $29, and you can ensure your pet will not only be looked after, but pampered while you are away. 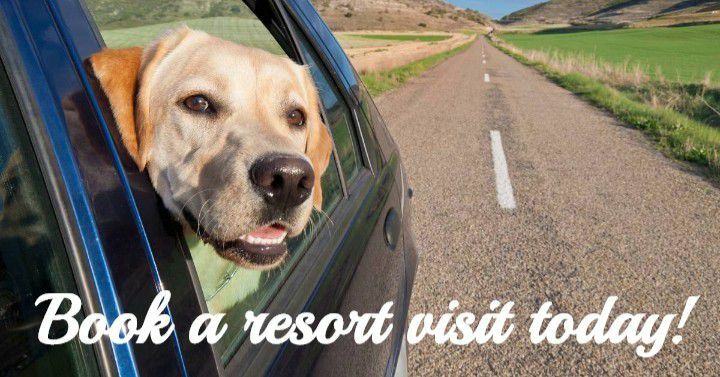 If you’re heading on vacation, why not treat your pet to a little resort time as well? Call us today!